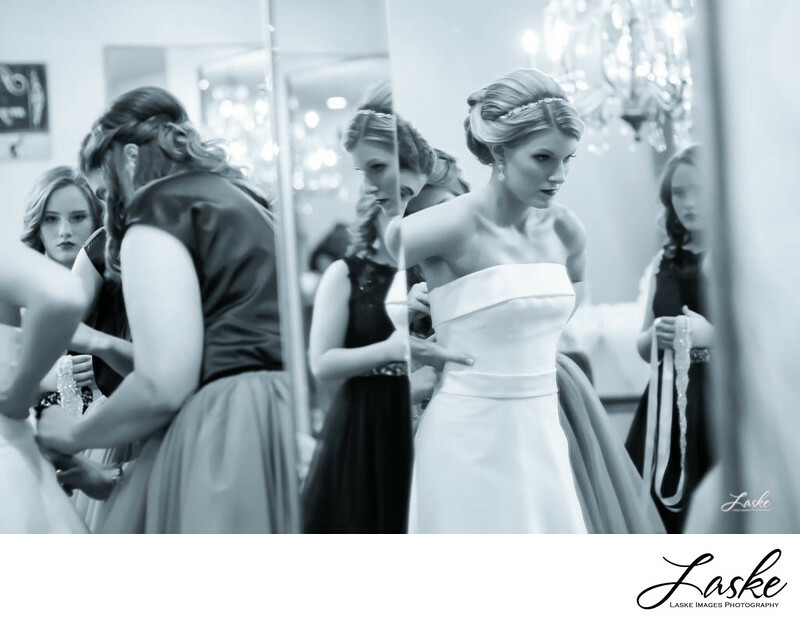 Reflection of Bride getting ready on her wedding day. The Bridesmaids and flower girl helping her tie her dress. 1/50; f/2.8; ISO 500; 85.0 mm.